Register your junior TS gym member for our 6 week summer kids program! WHO: Your little kids aged 4-10, hanging out with our big kids (and coaches!) Jordan Hoover and Katie Saul. 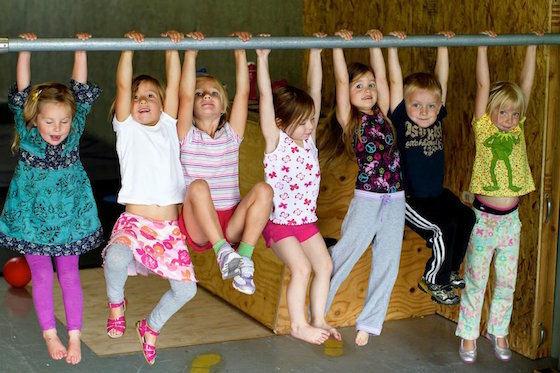 WHAT: Tacoma Strength Summer Kids exercise program. WHERE: Tacoma Strength and selected local Tacoma Parks. WHEN: Tuesdays & Thursdays, July 7 to August 13 from 11:30am to 12:20pm. WHY: You need a break and kids need exercise! HOW: $75 per child, $125 for two kids from the same family. Price does not include applicable Sales Tax. DETAILS: Younger kids and older kids will be divided into two age-appropriate groups to participate in lots of fun, exciting, exercise-minded games and activities. Special Theme days will be included!